Heavy construction for a reliable utilization. Versatile rotor for perfect shredding in all conditions. Easy adjustment in the field. Minimal maintenance, reduction of maintenance costs. Precise assembly and accurate rotor balancing. 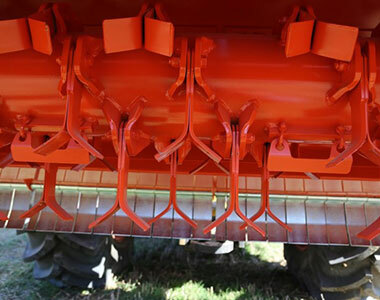 Hammer blade available as an option through Spare Parts. Semi automatic linkage (Cat III) allow fast coupling of SE8000 series. In addition the floating bracket on 3rd point permit an easy control of the working depth without stressing force on the headstock. 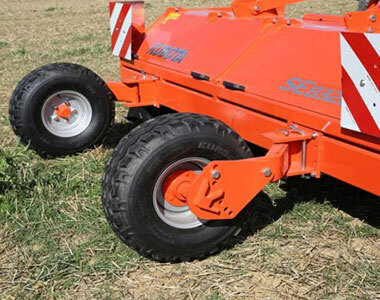 Semi pivoting wheels (10/8.0 x 12.8 ply)as standard ensure good stability and a constant working depth of the SE8000 series during field operations. 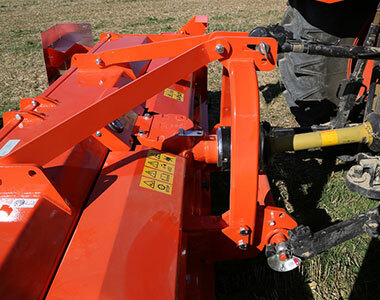 The Kubota SE8000 series is always equipped with a double lateral transmission. 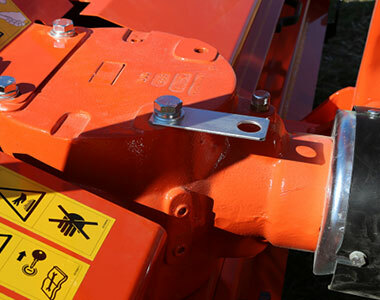 External and centralized greasing points of the rotor ensure a quicker maintenance. 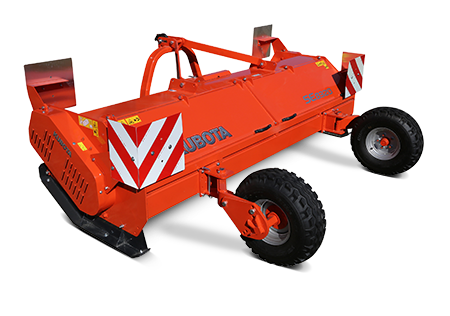 The same rotor can be equipped with either Y blades or hammer blades; in all configurations, special fan blades lift the material up for a better shredding effect. 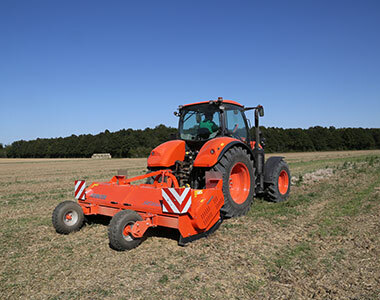 The big diameter (760mm) guarantees an excellent cut with low power requirement.